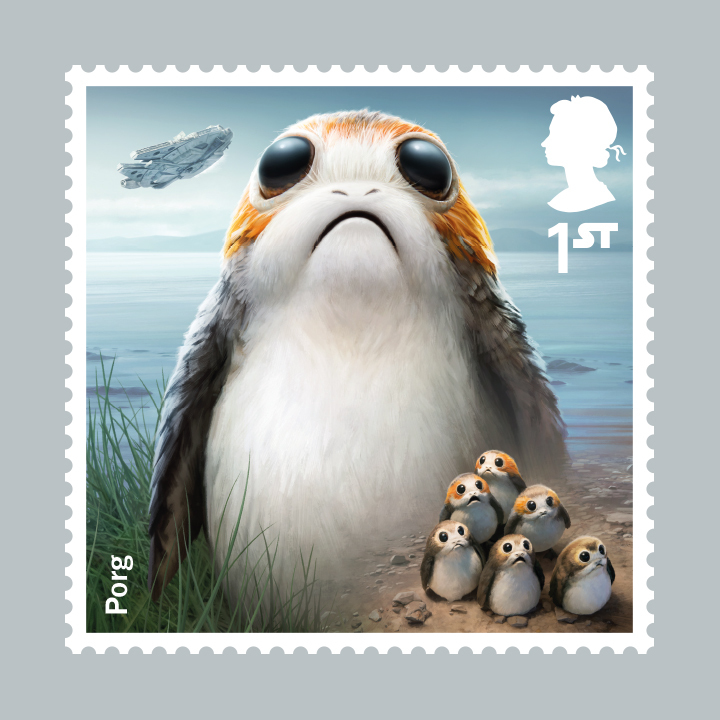 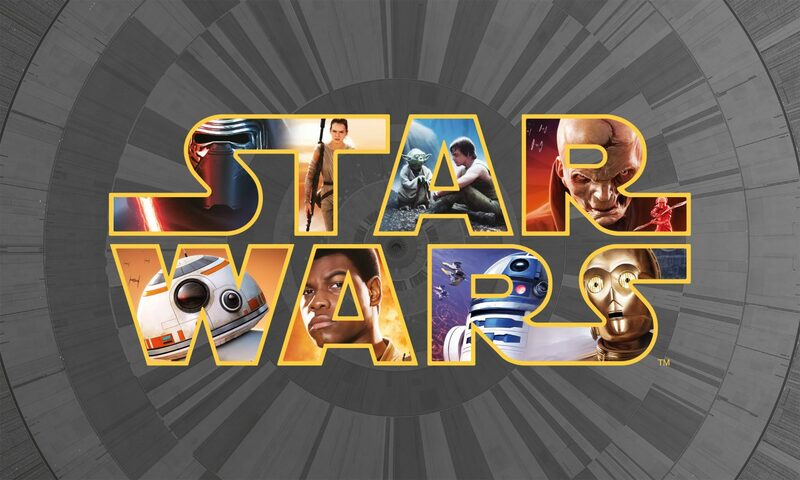 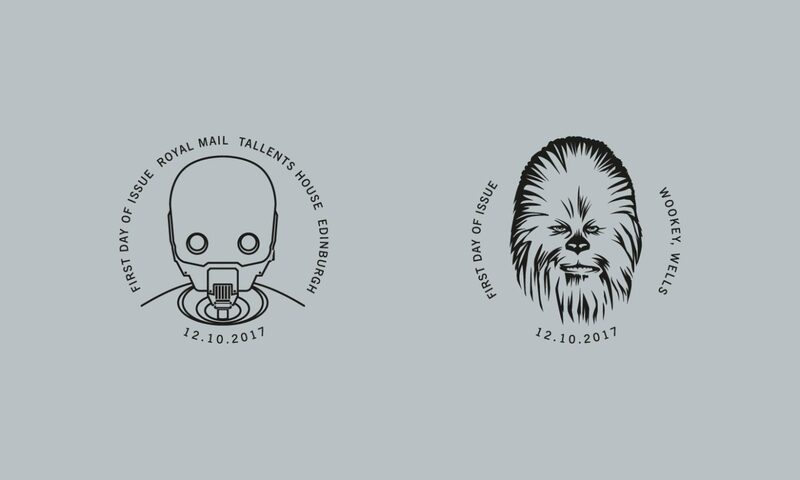 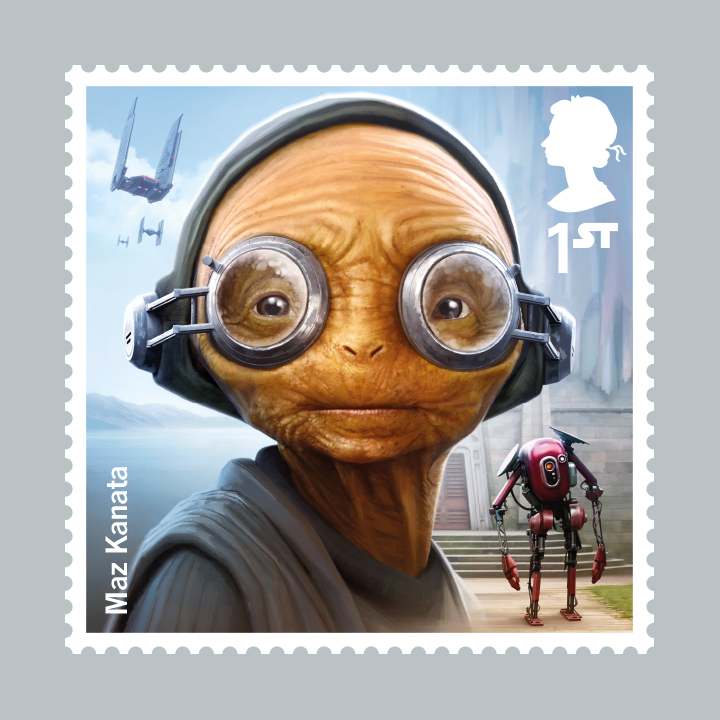 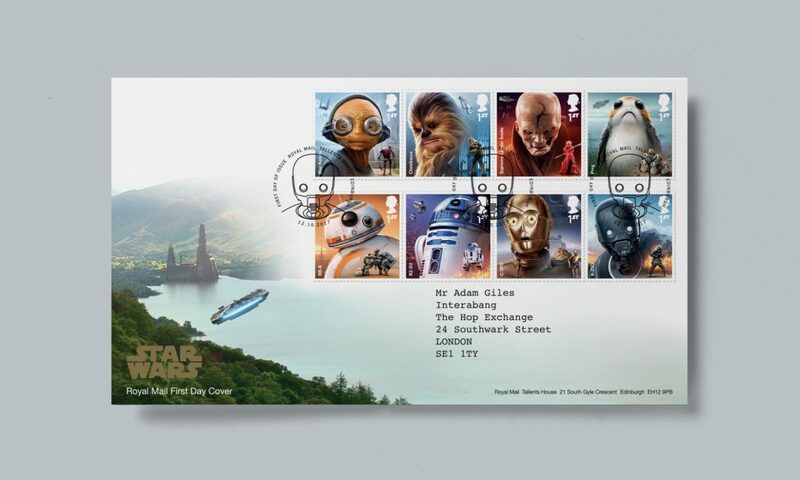 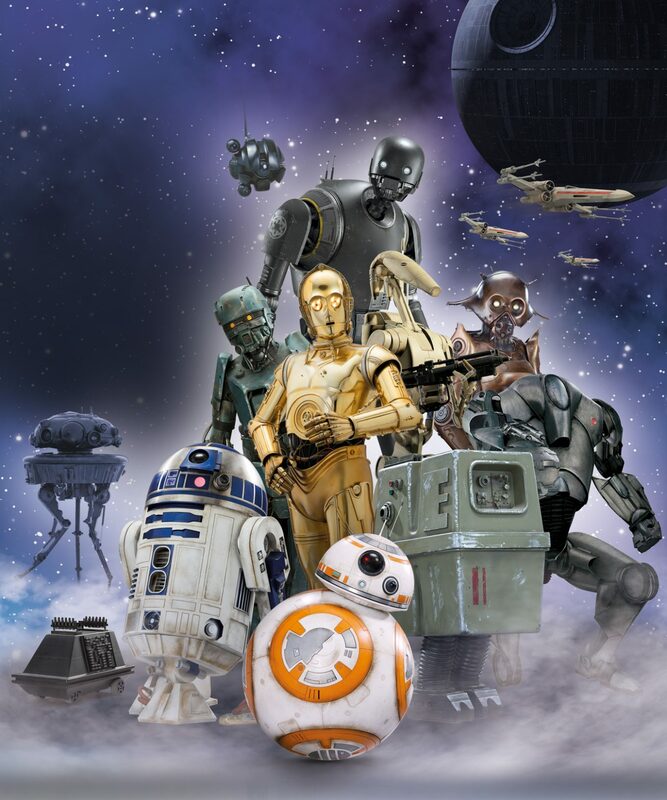 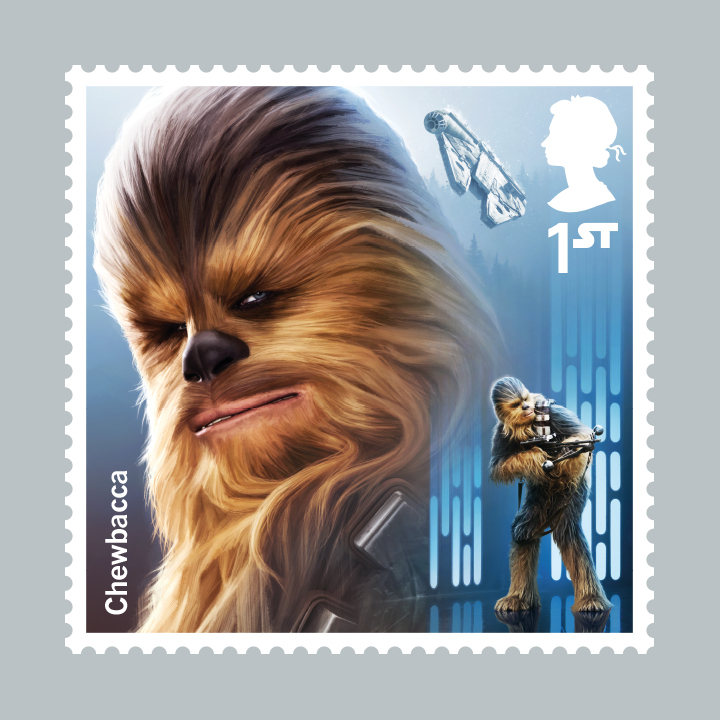 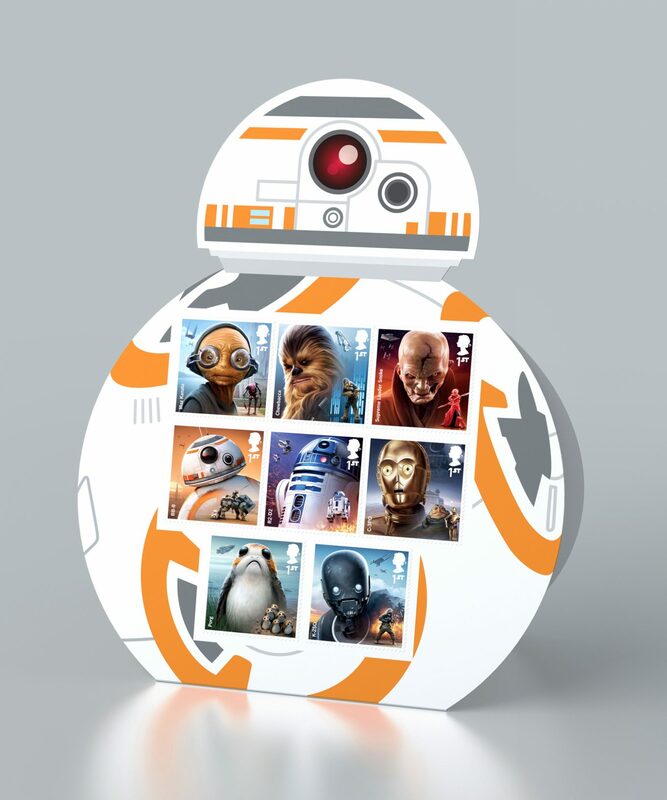 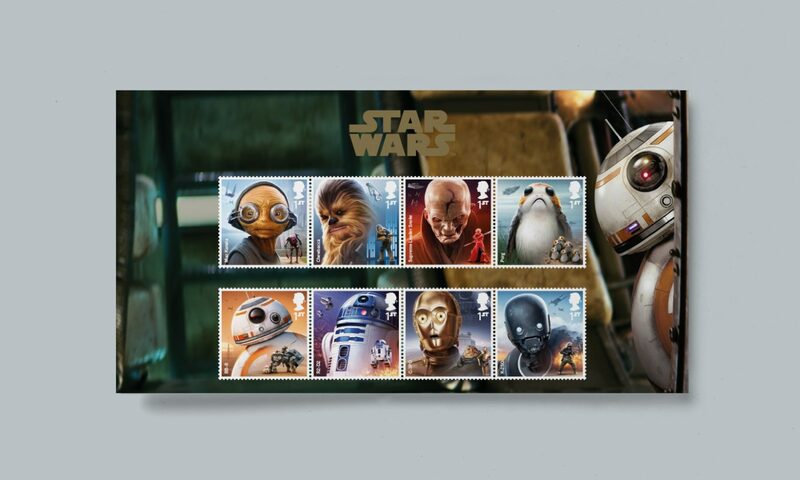 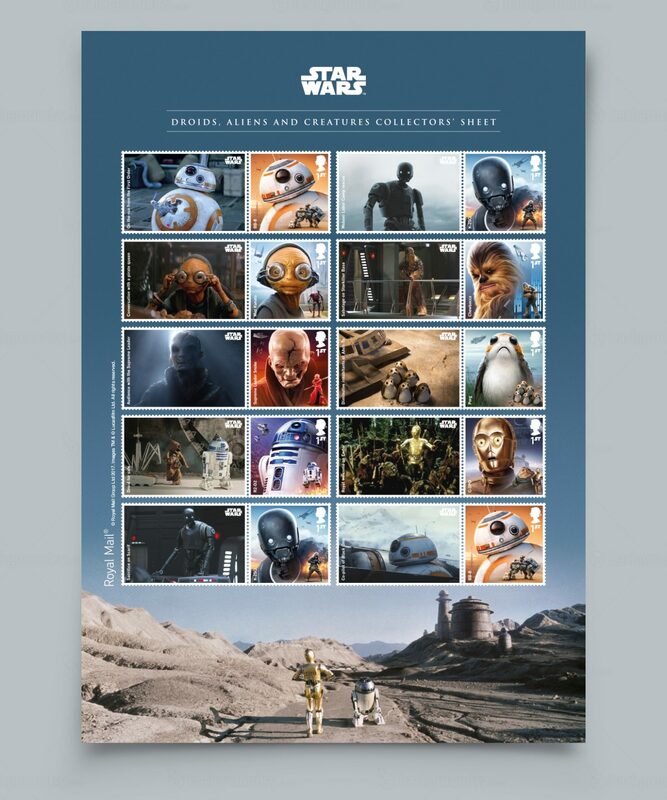 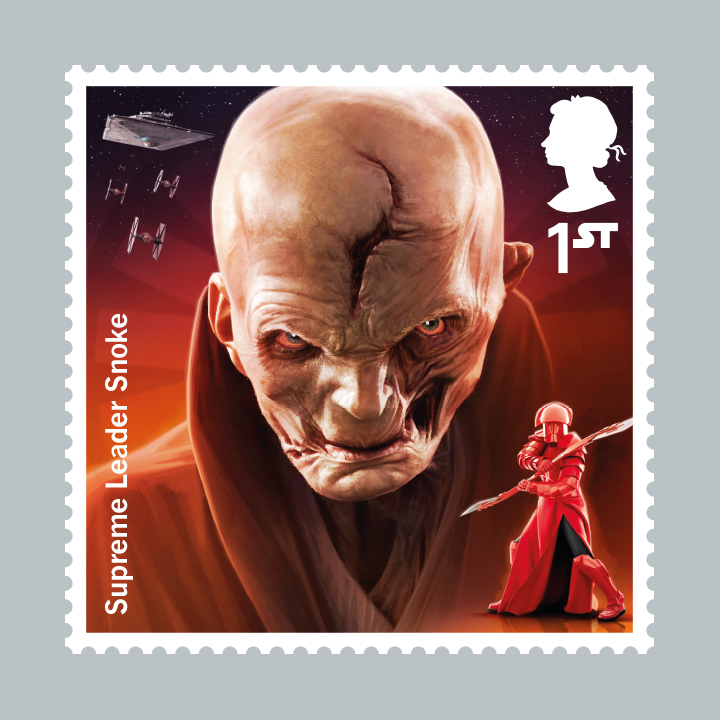 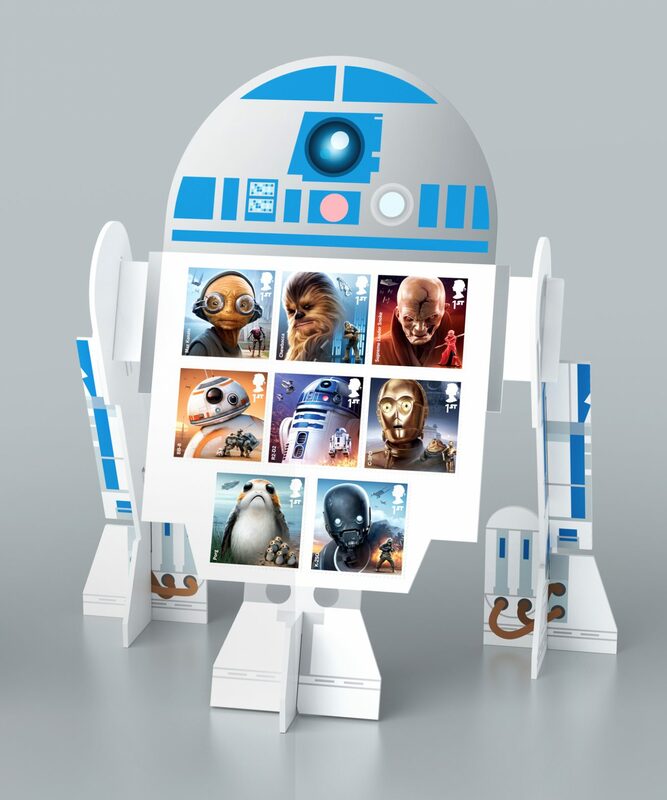 Following the success of 2015’s Star Wars set Royal Mail commissioned us to create a further eight special stamps and collectibles, this time celebrating the droids, creatures and aliens who inhabit the world of Star Wars. 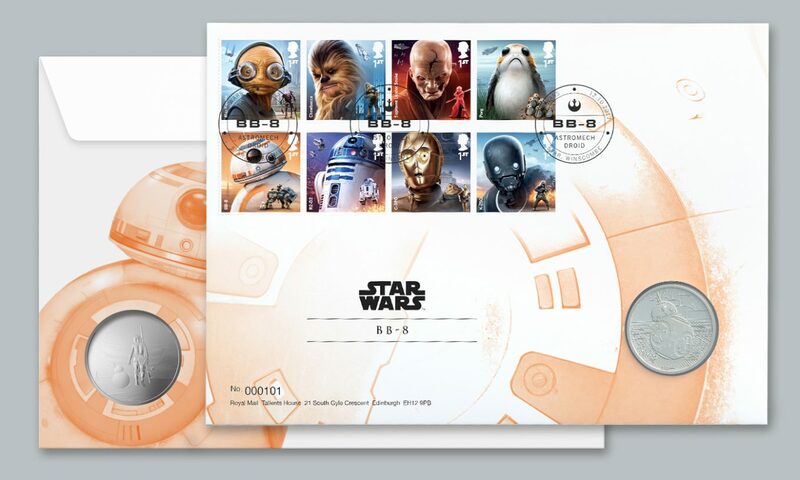 The eight stamps follow a similar format, but also incorporate character-relevant spaceships into the frame. 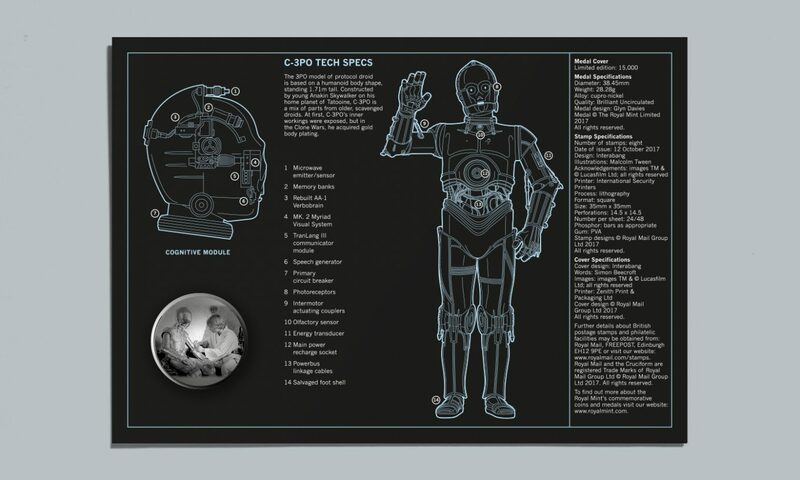 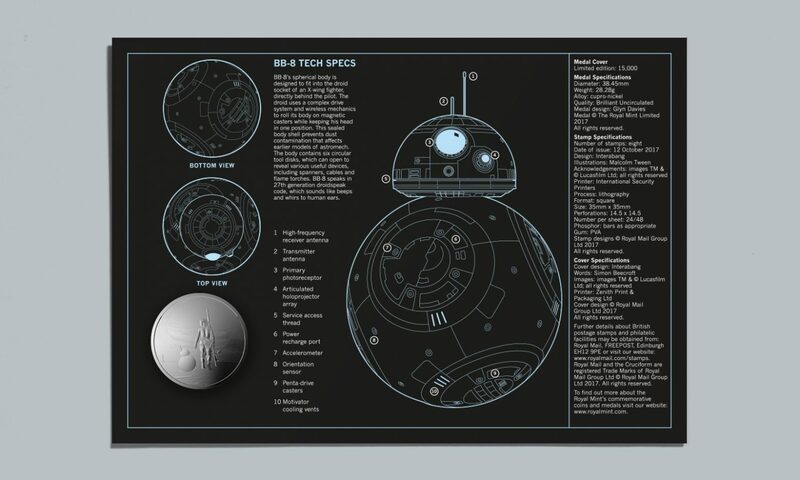 UV light exposes an easter egg for fans, bringing the droids to life. 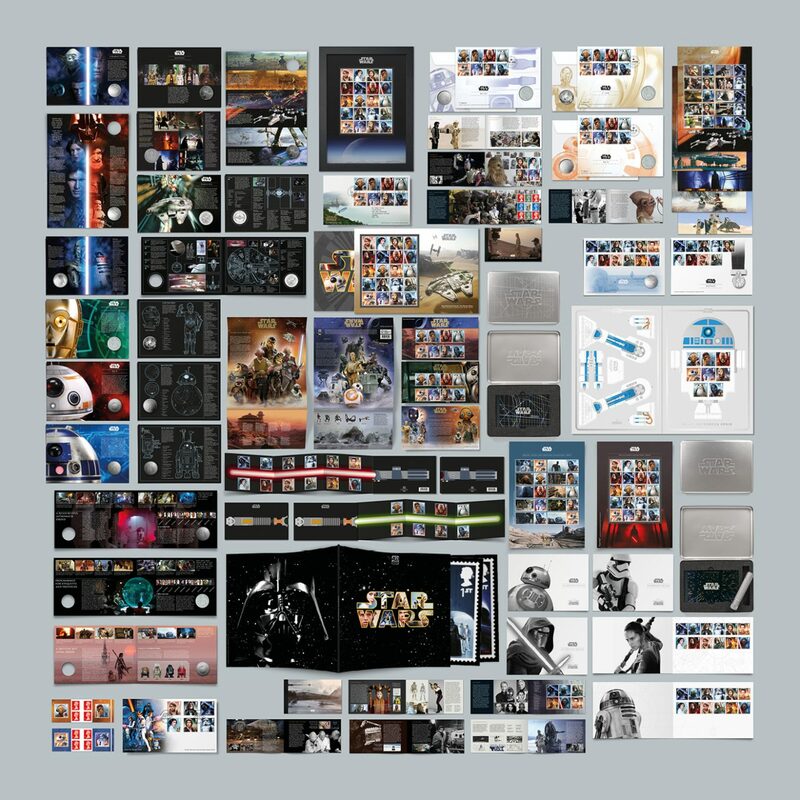 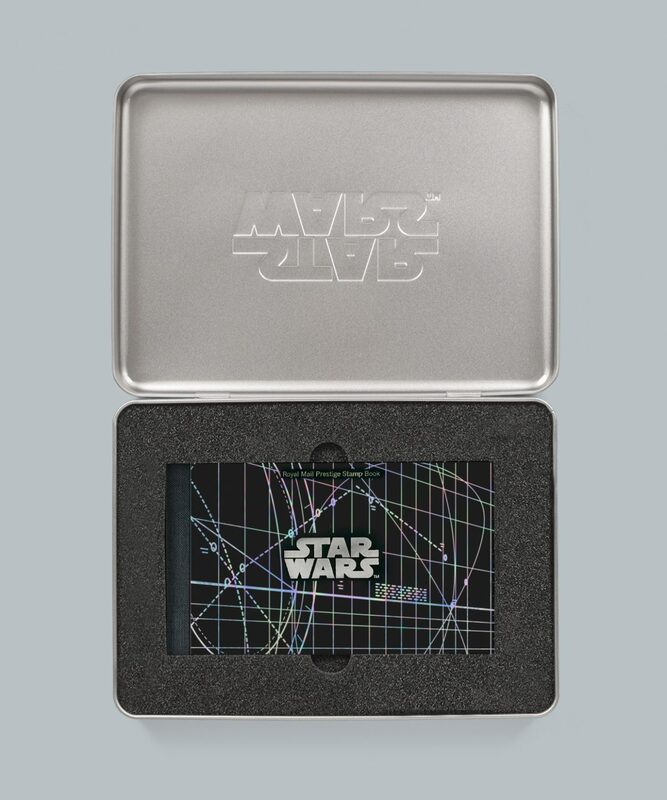 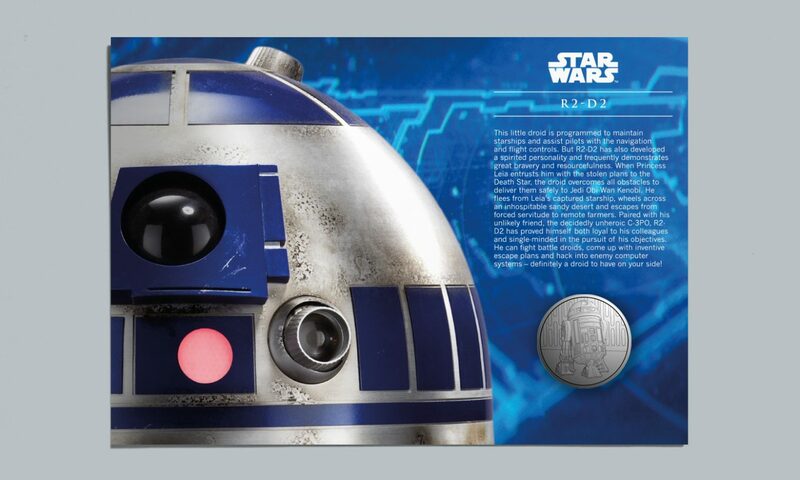 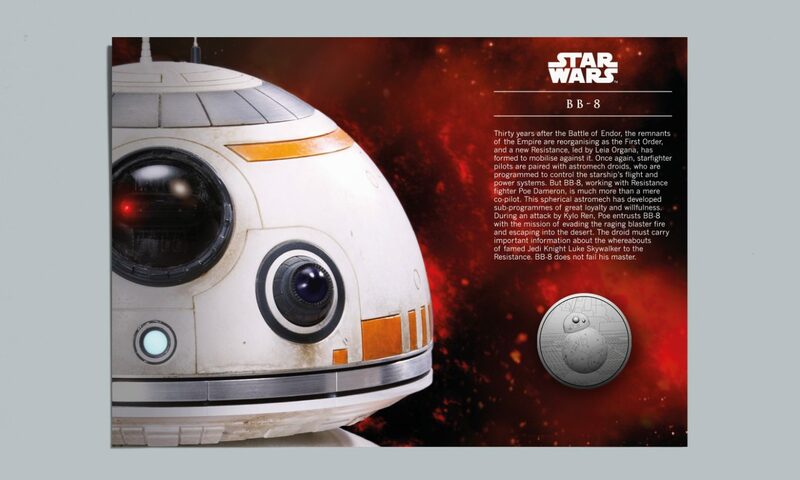 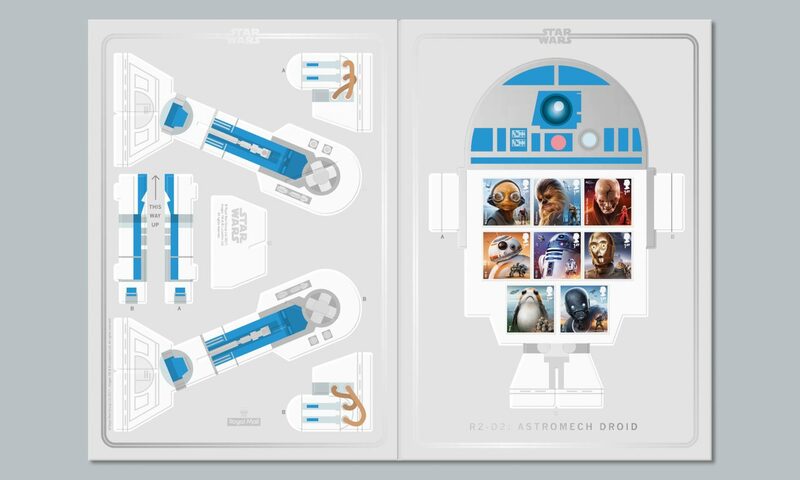 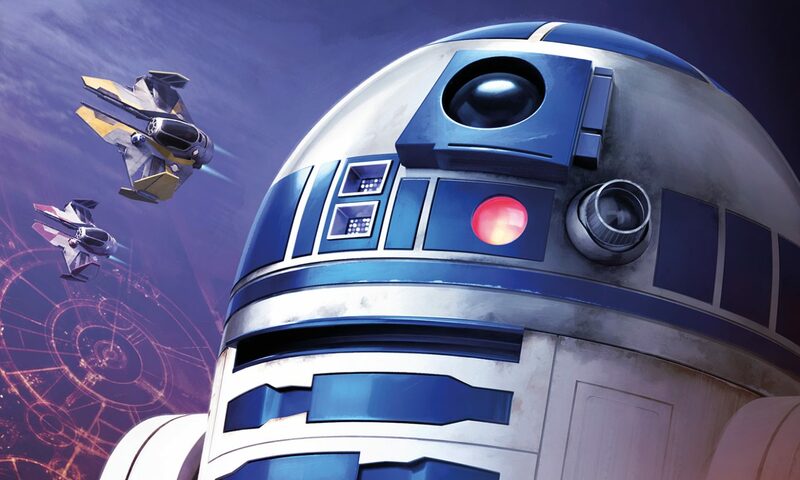 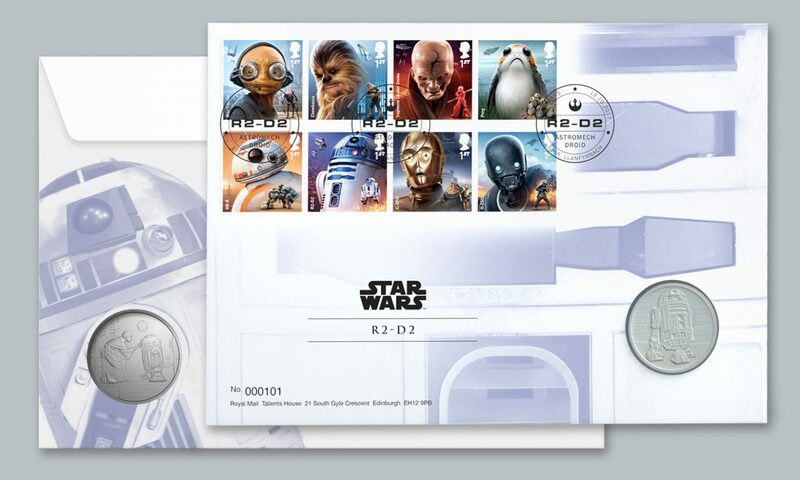 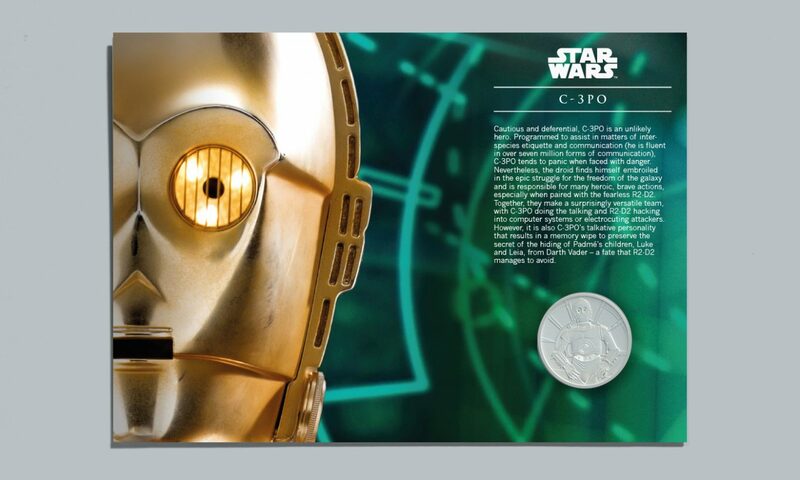 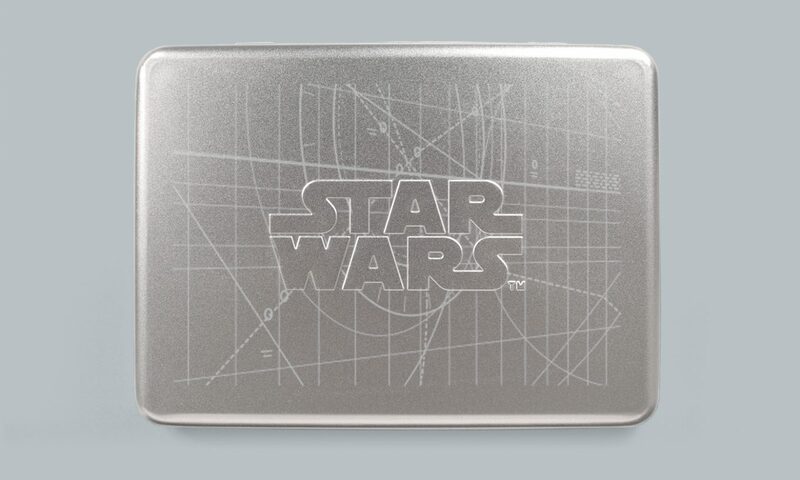 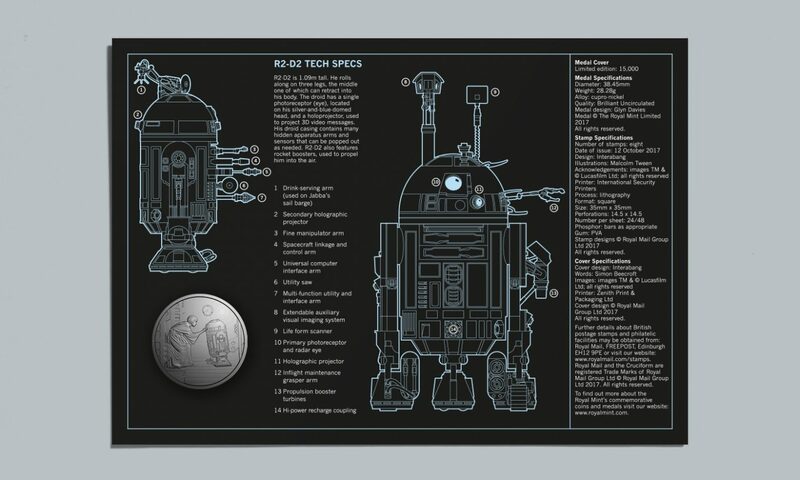 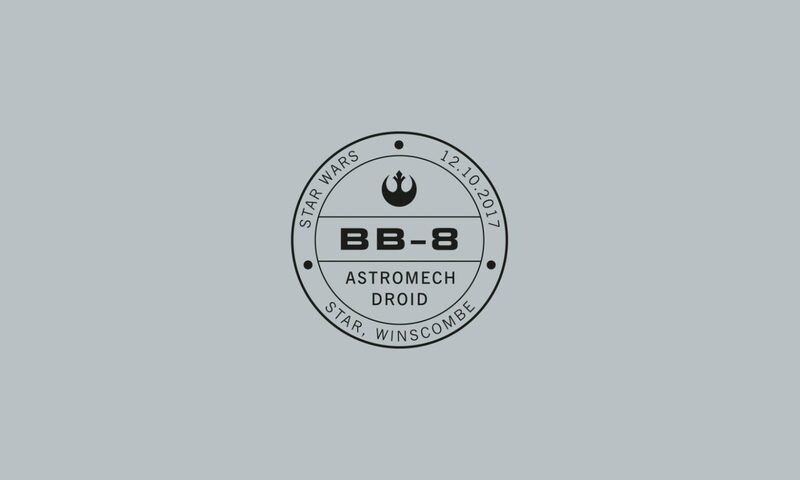 These included First Day Covers, three limited edition Medal Covers in conjunction with the Royal Mint covering R2-D2, BB-8 and C-3PO, two Collector Sheets and a Souvenir Cover featuring all twenty Star Wars stamps. 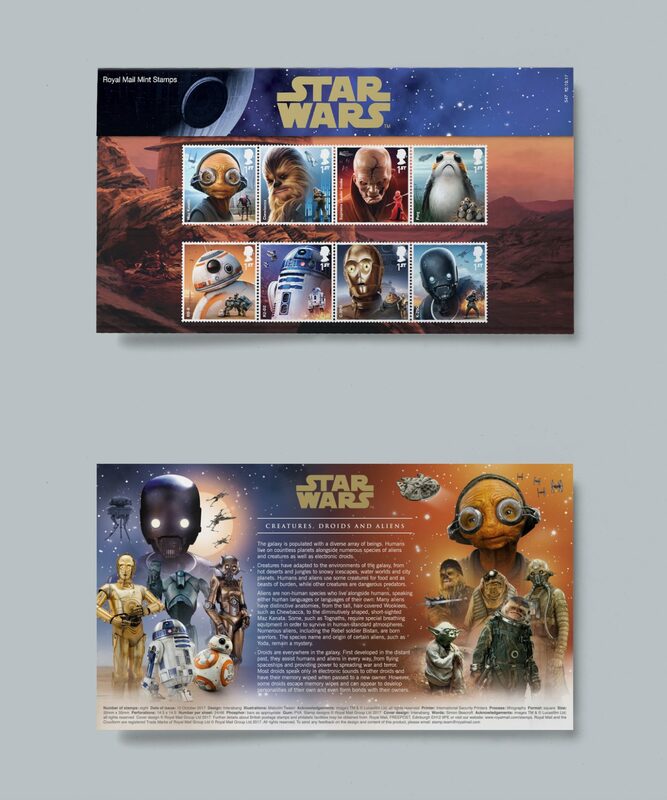 We designed a 26-page Prestige Stamp Book including all eight Special Stamps from the 2017 issue and four from the original 2015 issue. 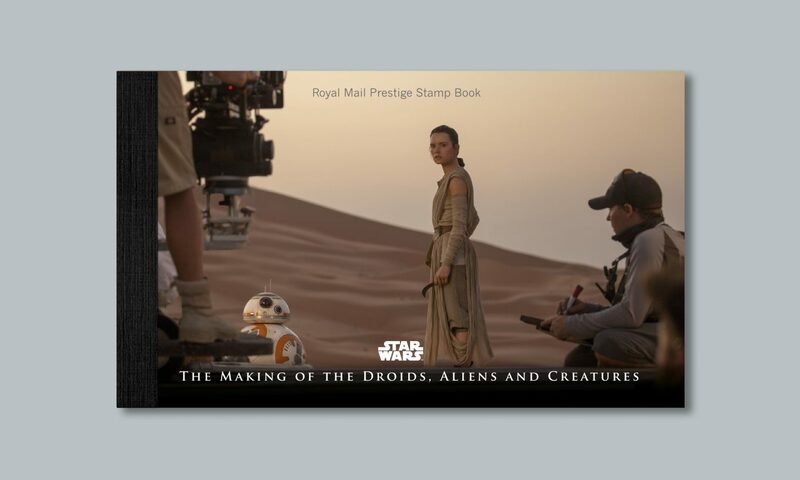 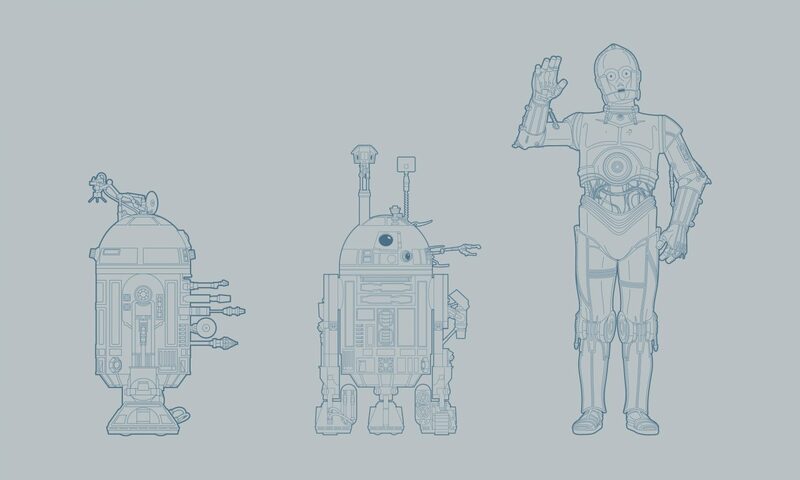 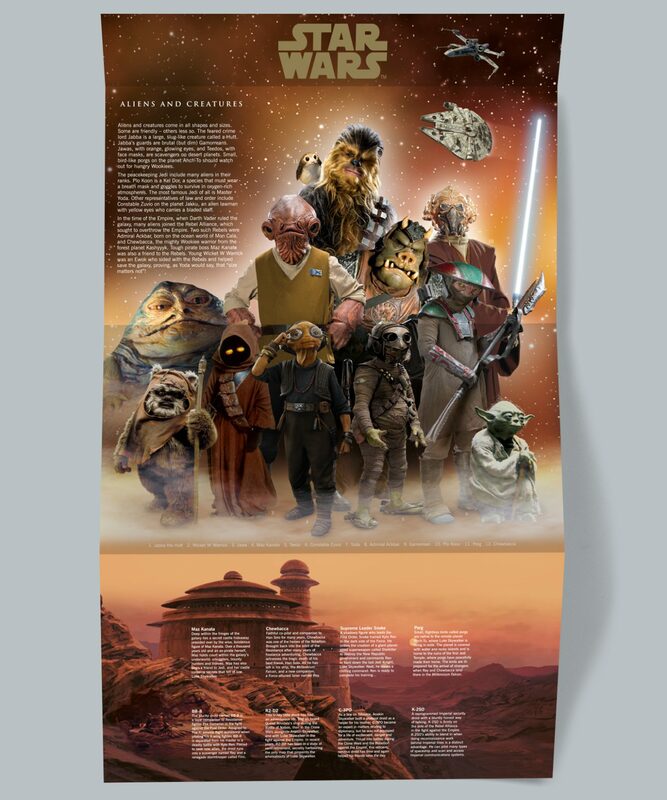 The book features rarely seen Star Wars concept drawings and imagery and explores how droids, aliens and creatures are made – charting the development of visual effects and the roles of Industrial Light & Magic and Pinewood Studios in the Star Wars saga. 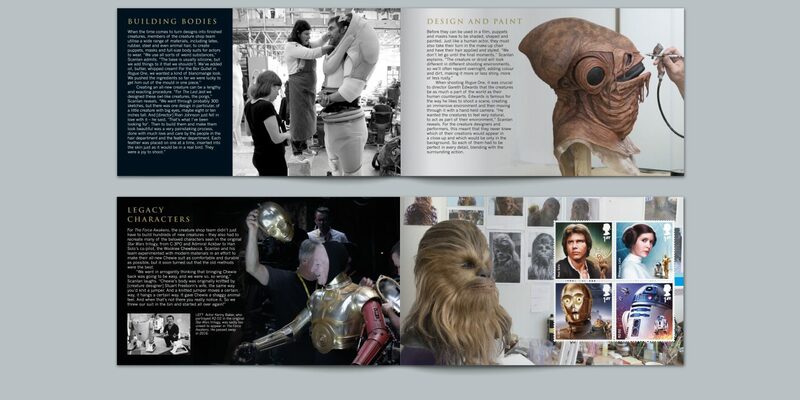 Includes fascinating insights from Neil Scanlan, creator of ILM’s creature workshop. 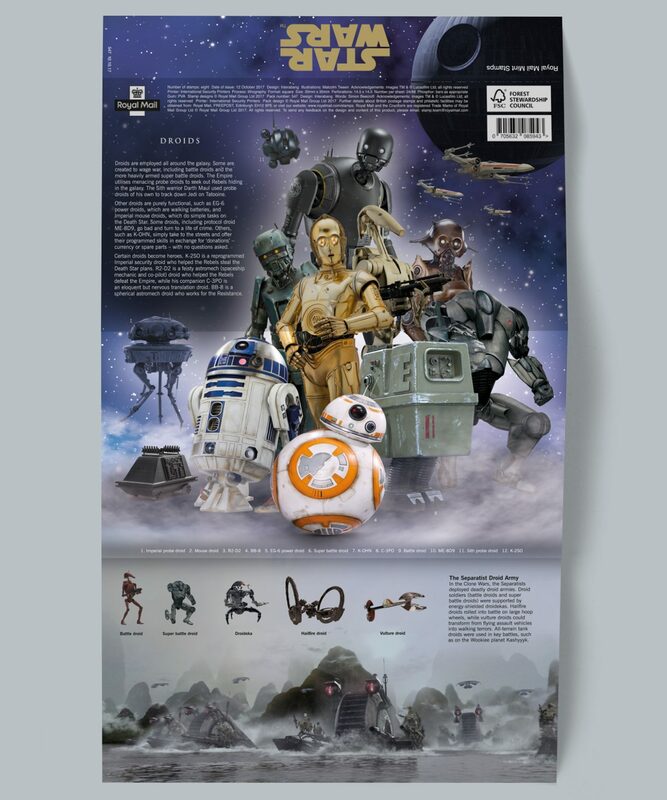 A number of limited edition and special products were produced for this blockbuster set. 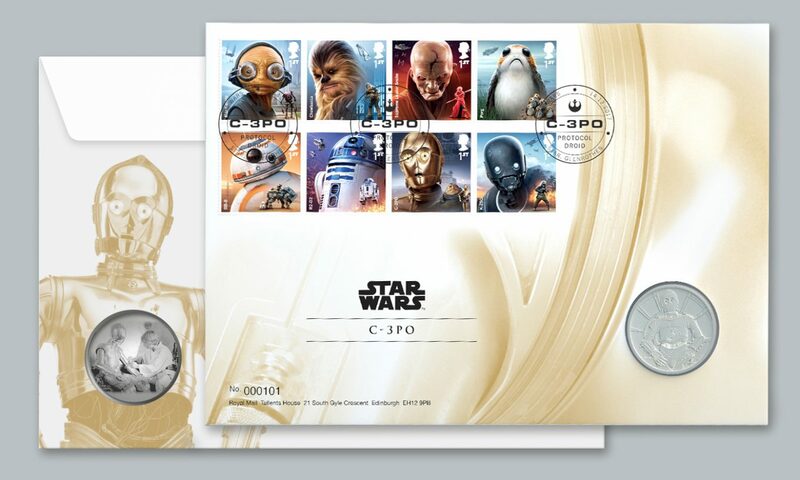 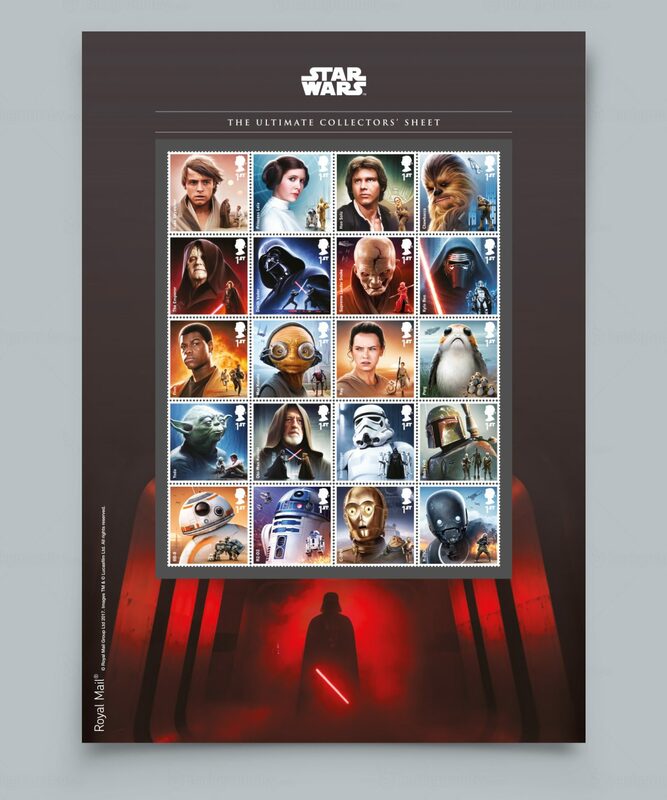 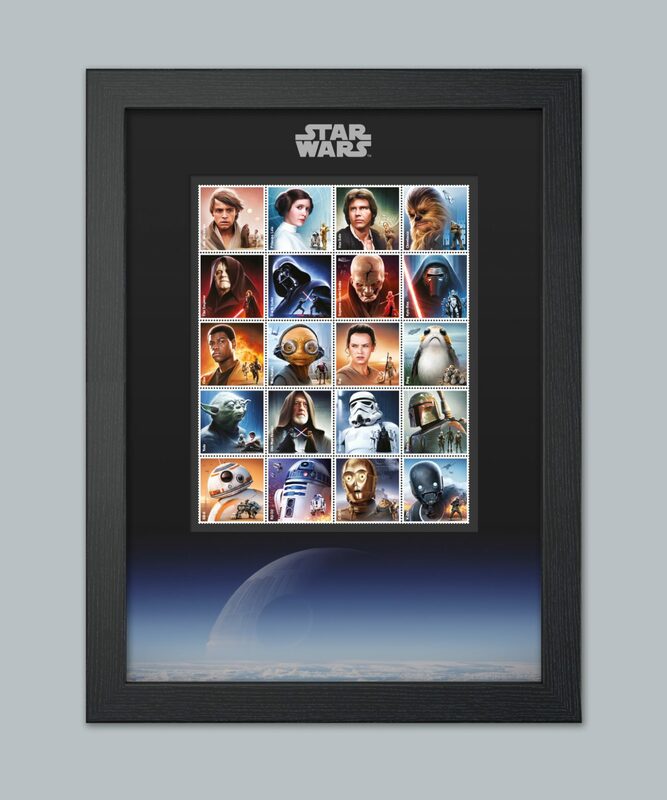 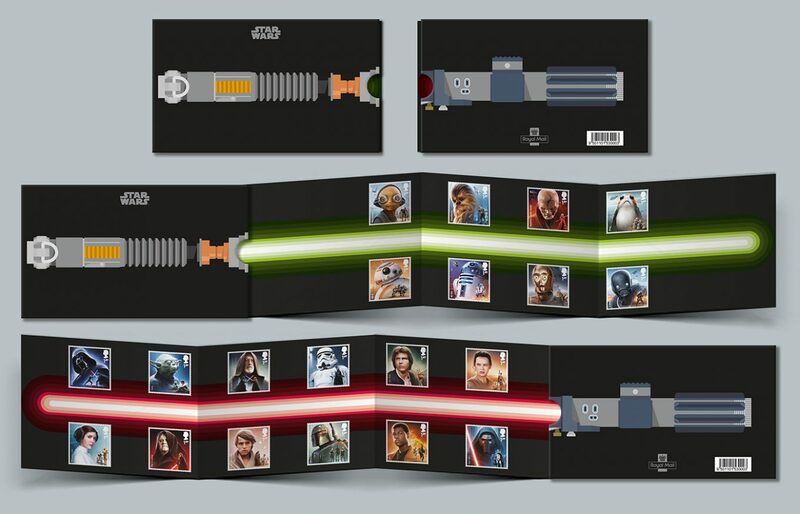 These included an individually numbered, limited edition hardback version of the Prestige Stamp Book presented in an embossed silver metal clamshell case, a framed edition of all 20 Character Special Stamps from the 2015 and 2017 Star Wars Special issues and R2-D2, BB-8 & lightsaber stamp display stands.